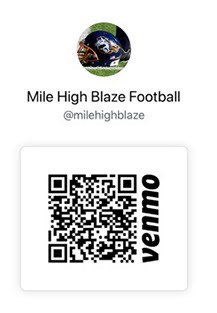 If you would like to donate or sponsor an athlete, please use Venmo app and enter the player name in the comments (if sponsoring specific athlete). If you would like to donate via cash or check, please contact Wyn directly. View/download our sponsorship packet HERE. Want to Play for the Blaze? Calling all female athletes in Denver and the surrounding areas! The Mile High Blaze is holding open tryouts to join the 2019 Blaze team!